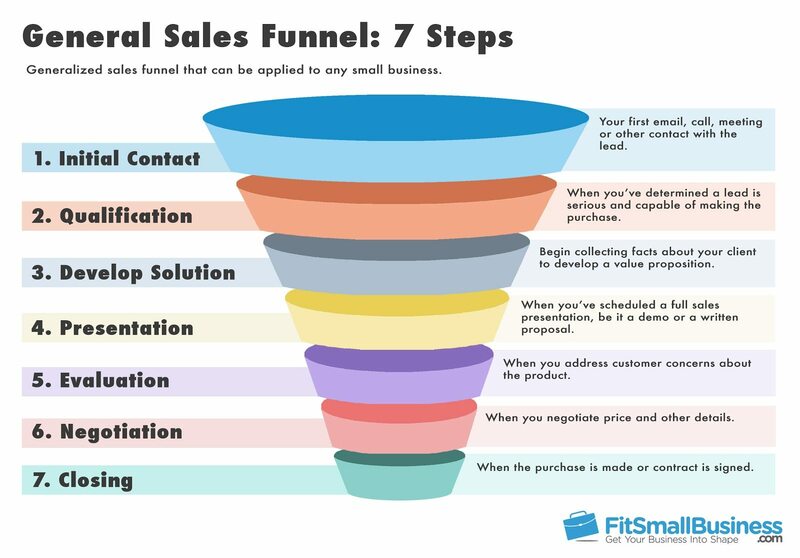 A sales funnel is a visual chart that shows the steps your leads go through before they purchase your product or service. In this article, we’ll be providing sales funnel templates and examples you can use to create your own. We’ll also be showing you how to create a sales funnel automatically using SAP Digital CRM. 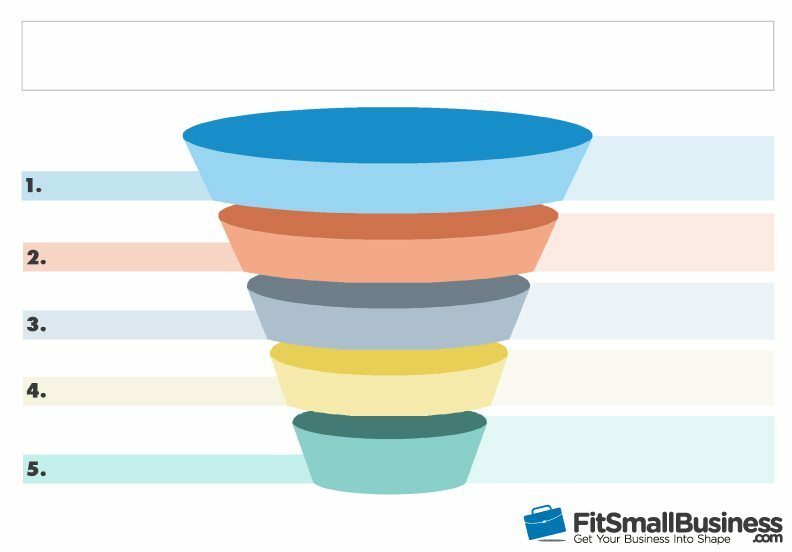 The CRM solution provides advanced sales funnel that shows how many deals there are (or how much potential revenue there is) in each stage of your funnel. 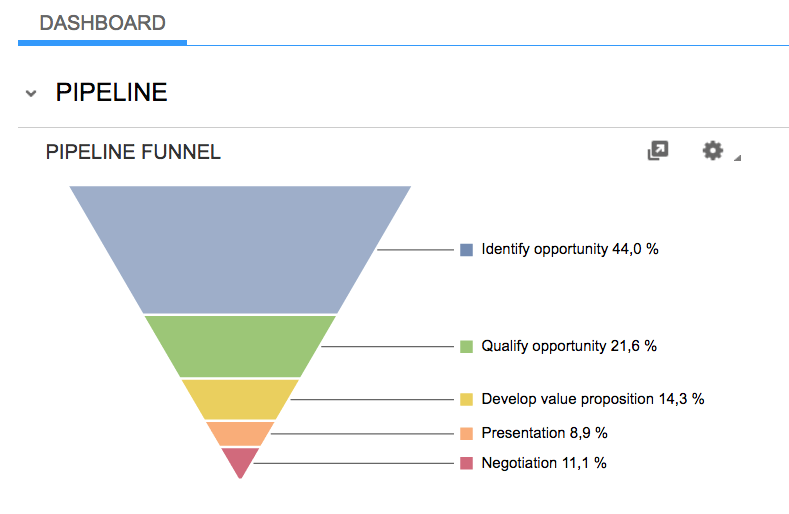 As an SAP user, you’ll find up-to-date sales funnel report each time you check your dashboard. Thanks to SAP for sponsoring this article. You can use our templates below to create your own sales funnel. We’ll also show you how to do this automatically using SAP Digital CRM further below. Download as .PPTX (PowerPoint) – Use this if you want to add text and edit the sales funnel using PowerPoint. 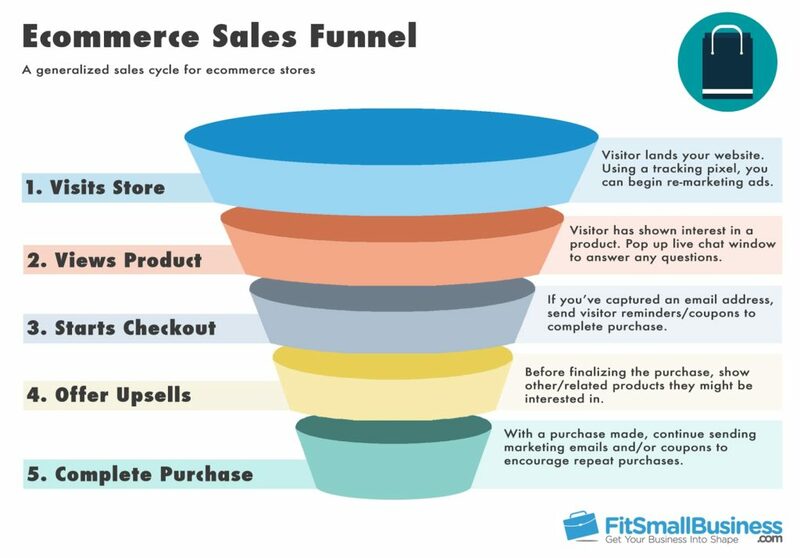 A sales funnel is a visual representation of your sales cycle – the steps you lead customers through to make a purchase. 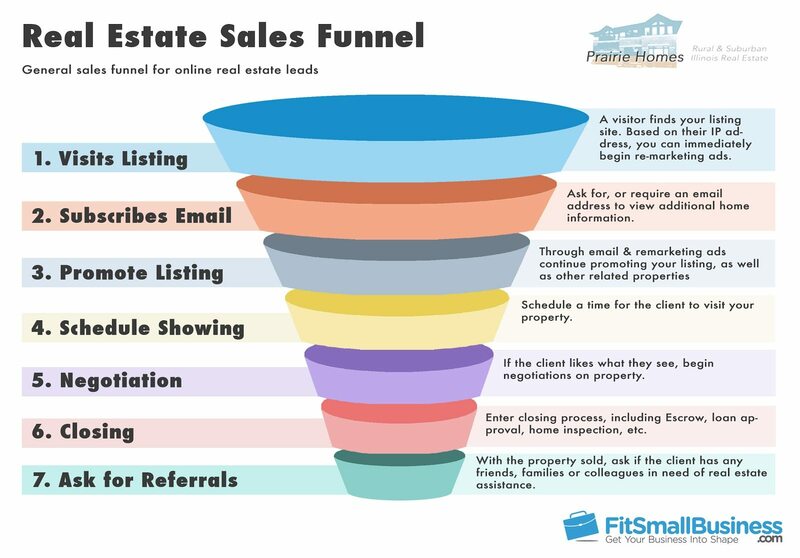 The funnel shape is due to the tendency for the number of leads to decrease the closer you get to a sale. Unqualified leads are at the top, and nearly-closed deals are at the bottom. Sales funnel templates can include anywhere from 3 to 10+ steps, depending on your type of business and the complexity of your sales. For instance, a retail business will have a much shorter funnel than a B2B vendor that spends months on each deal. 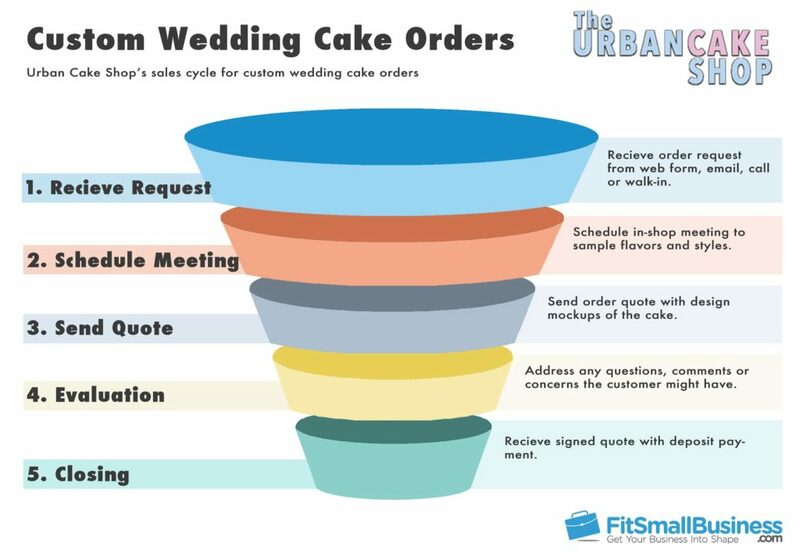 If you’re wondering which steps apply to your business, we’ll help you figure this out further below and provide some examples. You can also check out our article What is the Sales Cycle? The Stages Of Customer Acquisition. A sales funnel is essentially a graphical drawing your sales cycle, so the sales funnel templates above can also be used to figure out your sales stages. Figure out your process (and improve it) – Identifying the steps you take to close a sale is a prerequisite to selling better. With a standard method in place and a visual representation of it, you can apply it across your business, test it, and improve it. Manage your day-to-day – When you create sales funnel within a CRM, you can view the progress of all your deals at a single glance, including the number of deals in each stage of the funnel. This allows you to answer questions like, are there any high-value deals I should keep an eye on today? Or, do we have enough leads to keep us occupied for a while? We’ll be showing you how create sales funnels using SAP Digital CRM later in this article. Forecast earnings – When you apply a probability to each sales stage (i.e., leads in the first stage have a 10% chance of closing, 20% in the second stage, etc.) you can multiply this by the value of each deal and thus find out how much revenue to expect overall. SAP Digital CRM can make these calculations automatically, as we’ll explain further below. 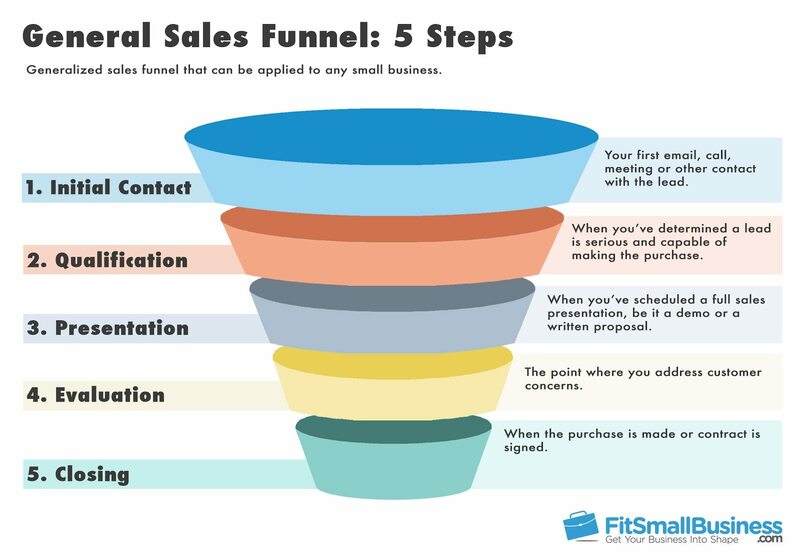 To create a sales funnel, you first have to think about the different stages involved in your sales cycle. At the top of the funnel are your new leads, coming fresh from your contact form, marketing campaign leads the list, or whatever your lead source might be. 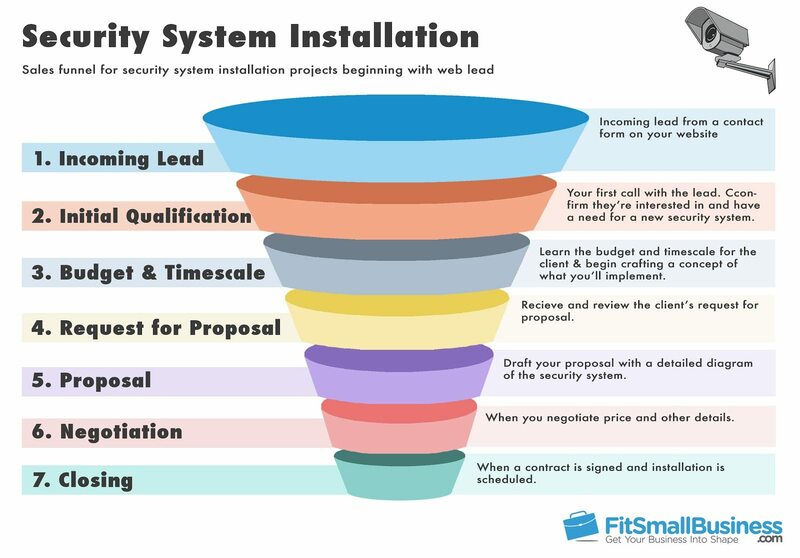 The first stage is often your initial contact with the lead, be that a call, email response, etc. What follows are a series of stages where you move towards closing the sale. Most businesses will have a qualification stage, in which they make sure the lead has a need for the product and is financially capable of making the purchase. Following that are various stages of research, presenting, as well as an evaluation phase in which you address client concerns. The cycle ends with closing – the moment the deal is officially done, whether that’s by signing a contract or processing a payment. While our example above has 5 stages, some funnels will be longer to account for more complexity. For example, a B2B business with large contracts – say, for security system installation – will need additional steps for researching the premises and drafting a proposal. They may also have extra rounds of negotiation towards the end. 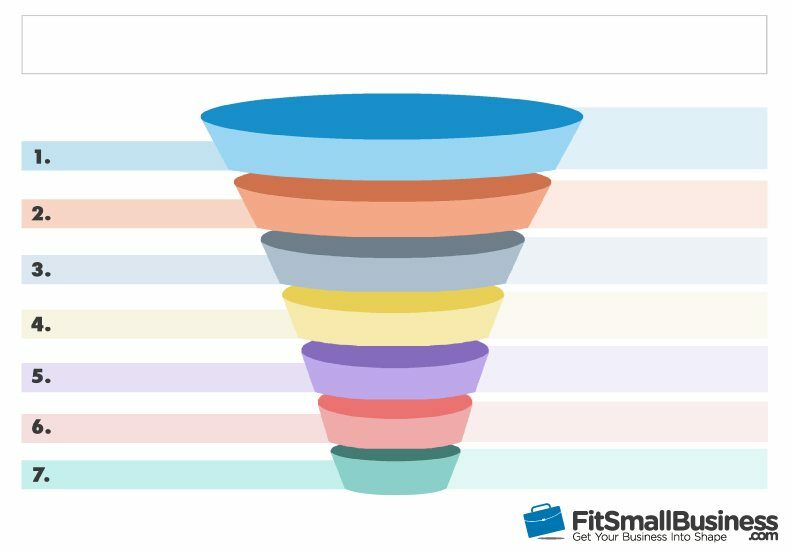 Generally speaking, you want to keep your sales funnel around 5 – 7 steps. Anything longer can be difficult to manage, whereas anything shorter can be too vague. In either case, consider combining or splitting steps to reach an appropriate sales funnel length. It shows you the number of leads in each stage of the funnel. So at a single glance, you get a good idea how well-stocked your pipeline is. It shows you the amount of revenue in your pipeline. Using your probabilities of winning at each stage of the funnel, you can use this to realistically forecast your revenue. In the example above, each stage of the funnel is sized proportionate to the amount of revenue within that stage. For example, all the deals in the first stage of my funnel (Identify Opportunity) have a combined value of $39,500, or 44% of the total potential revenue in my entire pipeline. As you continue down the funnel, that percentage gradually decreases. If you prefer, you can adjust your funnel to show the number of deals instead of the expected revenue. Or, you can see the weighted revenue, which is the deal value multiplied by the probability of winning.This can be done by clicking the arrow icon to the left of the gear. Weighted revenue is especially useful since it can be used to forecast your earnings. When you set up your CRM, you’ll predict how likely you are to win a deal in each stage – i.e. 20% in the “Qualify Opportunity” stage, 50% in the “Presentation” stage, and so on. This can be based on existing data you might have, or simply be estimated you’ll test and improve over time. When you select “Weighted Revenue” in your pipeline report, it will multiply the total revenue in each stage by the probability of winning. Thus, it accounts for the likeliness each deal will actually close, making it a far more accurate estimate of your revenue. Your sales funnel is updated automatically based on the latest data in SAP Digital CRM. So, you can easily check your funnel each morning and watch for anything out of the ordinary. For example, if the top of the funnel is too small, you can push more resources towards lead generation to ensure you don’t have a shortage later on. If the bottom is especially large, you’ll know there are some high-value deals near closing to keep an eye on. Sales funnels can also be drilled down by individual employee, so you can forecast individual earnings, or just see how everybody’s pipeline is doing. A sales funnel is two different things: First and foremost, it’s a simplified model of your selling process. It shows step-by-step how leads become customers. Secondly, when you create a sales funnel using your CRM, it becomes a summary of your pipeline. By showing how many leads (or how much potential revenue) is in each stage of the funnel, you get an at-a-glance diagnosis of your pipeline.